Pardon The Punctuation...If you're part of my audience you already know that I have a thing for Napa valley. Great wines, food, scenery, and of course the people rock. 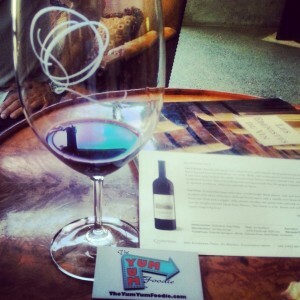 I'm not easily blown away by a wine experience in Napa. Quintessa winery blew me away. 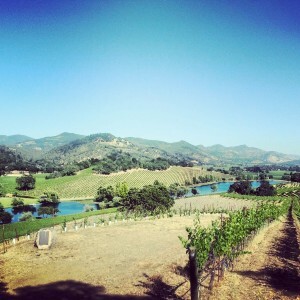 Spanning 280 acres in Rutherford on the famed Silverado Trail, the winery focuses on making one wine....if you have all that land and focus on one wine it better be good. Quintessa wine is "Wow" good. At over $100 a bottle it better be. This was my first opportunity to sample this juice of the gods and the whole experience didn't disappoint. First off the tasting room is gorgeous...I'd move in..like now. Marcelo and David were my two guides on this tasting experience and I commend them for doing such an amazing job. Here are the vintages I tasted and what I thought. Quintessa 2010: This wine is still a bit young but it should great potential. Deeply colored and with bright bouquet with hints of vanilla. No joke, vanilla hits you right on the nose for this one. The finish was soft and silky...good stuff. I'd wait a few years before busting this one out at the dinner table. Quintessa 2009: First thing that hit me about this one was the hints of clove. I love clove. Again there were some vanilla notes but not as prominent as in the 2010 vintage. Wine make Charles Thomas hit it out of the park with this one. You can drink it now but I'd still hold on to this one for a little bit. Quintessa 2006: The silkiest most elegant wine in the bunch. I'd put my money on a bottle of this stuff. Mild tannins and this guy is going to age well. Hints of mocha and of course vanilla...again. A note on this guy is it was decanted for over an hour before I tasted so this isn't the kind of bottle to order at a restaurant where you don't exactly have an hour to wait around for it to open up. This is a wine you buy and drink it at home with someone special or your greedy self. If you like a bordeaux style wine made right here in the good old USA, this is one for you. Take the time to visit them when you go to Napa. Make sure you ask for either Marcelo or David they rock!